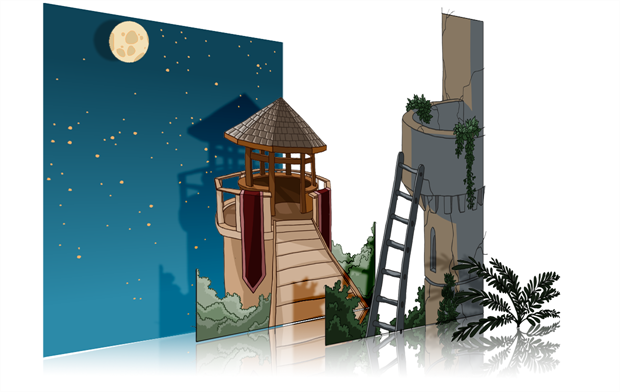 One of the most exciting features in Toon Boom Harmony is the multiplane, or Z-depth. In the multiplane you can create backgrounds in several layers, spread them on the Z-axis, add depth, and then move the camera through this environment to create an impressive perspective illusion. You can create backgrounds, use a layered PSD file or use a project from the sample material package.